The women were dueling with canes in a No Frills parking lot. VAUGHAN, Ont. 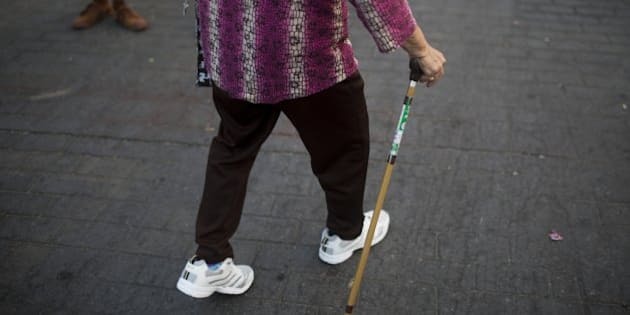 — A cane fight that broke out between two elderly women in a parking lot north of Toronto resulted in police being called to break up the scuffle. York regional police say they were called to a No Frills grocery store parking lot in Vaughan, Ont. shortly after 11 a.m. on Tuesday. Const. Andy Pattenden says concerned citizens called police as the two women in their 70s were engaged in a cane duel, screaming and shouting at each other. He says by the time officers arrived, the fight had ended without injury, with one woman trying to take off in a vehicle and the other going inside the grocery store to shop for food. He says police spoke to both women, although he says the one inside the store didn't want to talk and preferred to continue looking for produce. Pattenden says he doesn't know what the two were fighting over, but neither are expected to be charged. "It just sounds like some angry older people,'' Pattenden said.